Although unlocking a phone that's still tied to a contract was recently deemed illegal in the US, jailbreaking isn't, according to the latest review of exceptions to the DMCA in October. 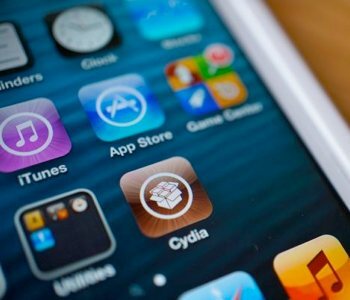 But that doesn't mean the practice isn't frowned upon by the likes of Apple, which has issued a warning in response to the Evasi0n unthethered jailbreak for iOS 6.1 devices. The tool in question was released just two days ago by a team known as evad3rs and works with Mac, Windows and Linux. It marks the first time that a jailbreak has been offered for Apple’s latest hardware including the iPhone 5 and iPad mini. With over 2 million downloads already and counting Apple has seen fit to revise its anti-jailbreak rhetoric with an update to Knowledge Base article reminding users that the iPhone, iPad, and iPod touch are designed to work together reliably but unauthorized modifications to iOS can cause a number of issues. Some examples of these issues include instability, shortened battery life, unreliable voice and data, and possibly being exposed to security vulnerabilities from running unsactioned third-party software. Apple also warns of possible service disruptions affecting things like iCloud or Push Notifications on hacked devices, and more importantly, that incompatibility with future updates might leave you with a bricked device. In all fairness even the groups behind jailbreaking tools warn that you should proceed at your own risk, so Apple is only doing their part letting you know what you could be getting into. And of course since jailbreaking is a violation of the iOS end-user license agreement Apple may deny service for your hacked device. That said, if you really know what you are doing jailbreaking can help you get much more out of your device. For those who don't know, the process essentially does away with operating system restrictions and allows you to run all kinds of apps and system tweaks that haven't been authorized by Apple -- to install Siri on older devices, enable tethering, or use Wi-Fi only apps over 3G, for example. It's not to be confused with "unlocking" which lets you bypass carrier restrictions and load up a SIM from another service provider on your phone.